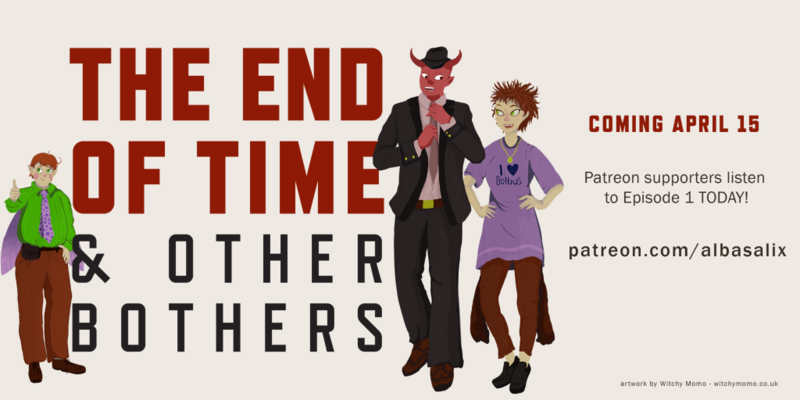 Become a supporter on Patreon at the $5 or higher level and receive your very own 3″ End of Time and Other Bothers sticker commissioned from Katharine Green. To be eligible, you must be a confirmed and valid supporter by January 1, 2019 and have been successfully charged for one month. 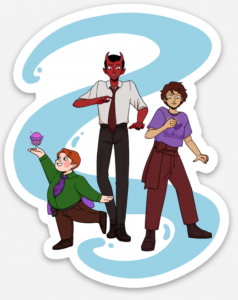 Special Patreon Offer: New Sticker! And to celebrate the return of the long‐awaited next season, Eli and Sean will be hosting a live AMA session on Instagram and via YouTube Live. 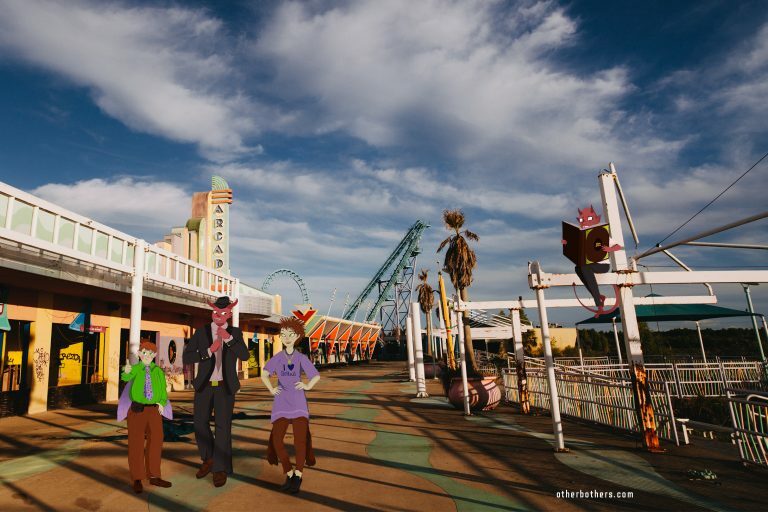 This is a session where we answer your questions. The AMA session will be on Friday, Nov 2 at 8pm New York City (EDT) / 1am London (GMT). Be sure to send any questions to us via our Instagram, Twitter or Facebook or any other of our channels. 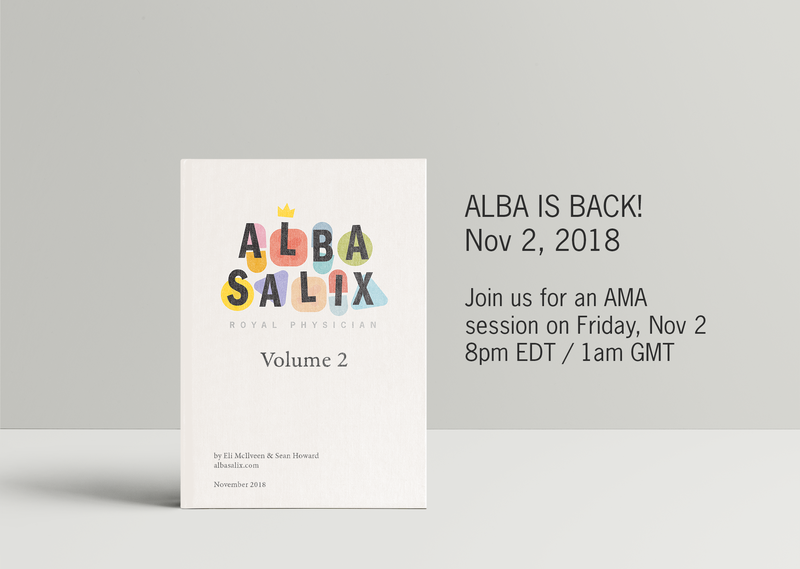 We look forward to answering your questions and celebrating the return of Alba Salix. You can follow and subscribe to our YouTube channel and Instagram account. In Episode 1 of The End of Time and Other Bothers, Blat gets a call on the Speechifyer. Here’s what may have happened just prior to that call. 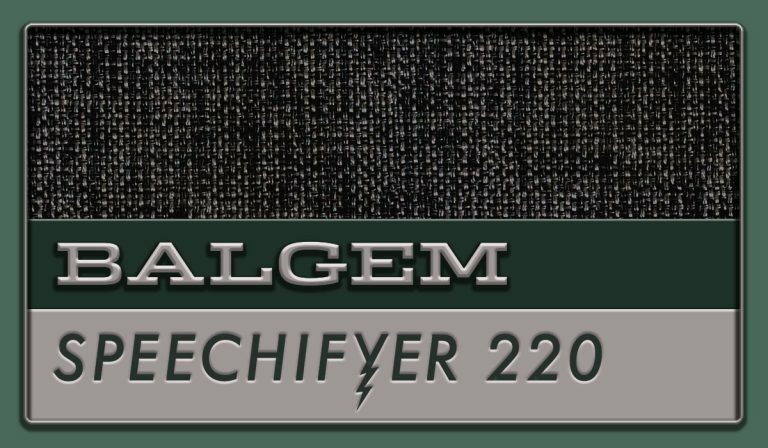 Floor D7, Room 392, Balgem HQ, Downtown Steadfast. Office of the Assistant Manager of Filing and Operations, Central Region. Ha! Yeah, that was a great game last night! Cheryl, what did I tell you about interrupting me? I’m sorry? I’M SORRY?! Cheryl, we’ll talk about this AFTER I get off this call. 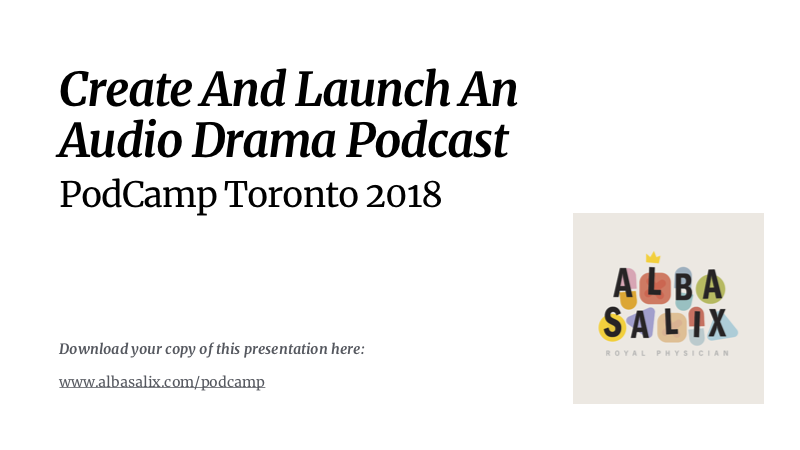 Here’s our slideshow from PodCamp Toronto 2018, where we outlined the steps and decisions that go into producing an audio drama podcast, from pre‐production to launch.